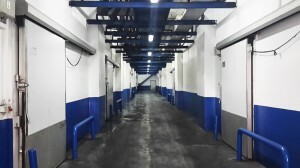 The company has 28 private lockable cold rooms, for a total refrigerated /frozen capacity of 30,000 M3 .Each room has an average storage capacity of 400 Tons or 1,100 M3 .The cold storage rooms, are tailored to meet clients’ needs and held at custom temperatures ranging from -25° C to 16 °C. Continuous monitoring of temperature is carried out 24h a day. Corridors/hallways leading to the cold rooms are also chilled to ensure the cold chain is adequately preserved . 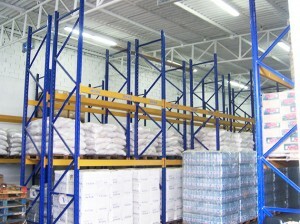 The dry warehouse alone has an overall capacity of 30,000 M3. It is ideal for the producers, importers, dealers, and commercial or industrial businesses who desire to store their goods . The use of forced air ventilation ensures that goods are stored at optimal conditions in terms of temperature and humidity.